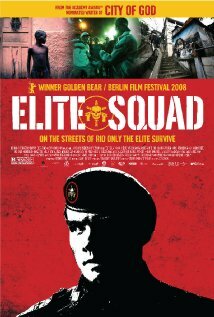 Buy or Rent Tropa de Elite (2007) Movie DVD & BluRay Online! Movie Plot: In 1997, before the visit of the pope to Rio de Janeiro, Captain Nascimento from BOPE (Special Police Operation Battalion) is assigned to eliminate the risks of the drug dealers in a dangerous slum nearby where the pope intends to be lodged. Captain Nascimento is trying to find a man to replace him because his wife is pregnant and he intends to quit the command and become a trainer….